Western leaders and media commentators may praise Shimon Peres as a champion of peace, but for Palestinians, he was just another Israeli war criminal. 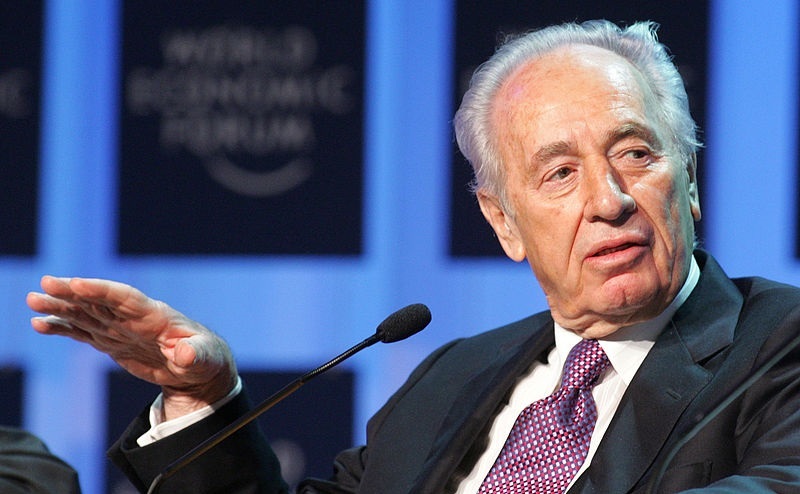 Former Israeli Prime Minister and President Shimon Peres was a very successful brand. He was presented to the world as stately and wise, a relentless advocate of peace, and a sane voice amidst a conflict deemed senseless and unending. Now that he is dead at 93, international media are rife with touching tributes and heartwarming eulogies of the Nobel Peace Prize winner, one of Israel’s most sagacious ‘founding fathers’, who was also seen as a ‘giant among men’. These attributes were mostly based on sentiment rather than fact; however, full knowledge of the man’s legacy certainly lingers among many Palestinians, Lebanese and advocates of peace and justice in the Middle East. The truth is Peres was never truly a peacemaker—he never labored to achieve fair and just political compromises that would preserve the dignity and rights of the Palestinians, along with securing the future of his people. In fact, he was a maximalist, a man who blatantly shoved his ideas forward in order to achieve his goals, no matter what the method or the price. Nor was he a leader with specific qualities that allowed him to excel in particular fields of politics. Instead, he was the embodiment of the archetypical Israeli politician who swapped roles and rebranded himself as the occasion or role required. He was also characterized as a ‘warrior’ at home, and a peace ‘dove’ in global forums. He came across as kind and stately, and Western media often embraced that erroneous image with little questioning. But for many people, Shimon Peres was a false prophet. Like Ehud Barak, Tzipi Livni, Ehud Olmert, and others, he was a ‘peacemaker’ by name only, and only by those whose ideals he fulfilled. Although he is remembered for his ordering of the bombing of a UN shelter in the Lebanese village of Qana in 1996—which killed and wounded hundreds of innocent people—the list of war crimes associated with his name is as long as his career. Fearing that his reputation as ‘too soft’ to lead Israel—which is often led by battle-hardened generals—would affect his standing among voters, Peres often meted out severe punishment on the Palestinian and Lebanese peoples. His history was rife with brutal war crimes that went unpunished. Although he is remembered for his ordering of the bombing of a UN shelter in the Lebanese village of Qana in 1996—which killed and wounded hundreds of innocent people—the list of war crimes associated with his name is as long as his career. He remained until the very end a staunch supporter of the Israeli right-wing government’s wars on Gaza and the perpetual siege on that impoverished, forsaken region. Even as a ‘peacemaker’ he failed terribly. He championed the Oslo Accords as a political treaty that would entrench the Israeli occupation and turn the little that remained of historic Palestine into disjointed Bantustans, as was the case, if not to a worse extent, in apartheid South Africa. Yet he certainly never took responsibility, or expressed any remorse for the resultant plight of the Palestinians. Nevertheless, the brand of Shimon Peres is an old one. It spans over the course of his long career, starting with him joining underground Zionist militias prior to the establishment of Israel on appropriated Palestinian land. 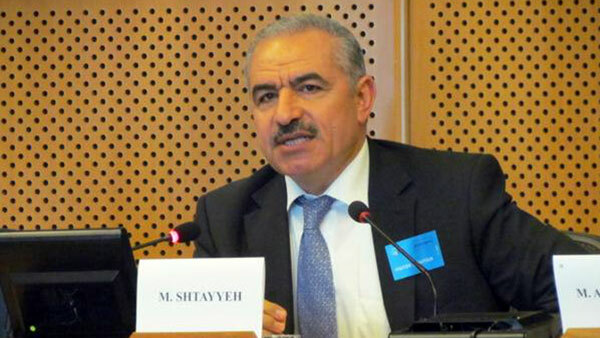 His militant group, the Haganah, was entrusted with the implementation of Plan Dalet, which essentially aimed at the ethnic cleaning of the Palestinian population of its historic homeland. As one of the ‘disciples of David Ben-Gurion’, the first Prime Minister of Israel, Peres “spent his long political career in the public spotlight,” although “his greatest successes were engineered in the shadows,” according to Yaron Ezrahi, a politics professor at Hebrew University in Jerusalem, as quoted by Jonathan Cook. One of these ‘successes’ was the nuclear bomb. Although various Middle Eastern countries, most notably Iraq and Iran, are often derided for nuclear weapons they never possessed, Peres was the founding father of weapons of mass destruction in the region. “Peres, like his mentor, believed an Israeli bomb was the key to guaranteeing Israel’s status—both in Washington DC and among the Arab states—as an unassailable Middle East power,” Cook wrote. Dodging American protests, Peres enlisted the clandestine support of Britain, France, Norway and other countries to realize his ambition. Yet throughout his career, Peres never ceased speaking of ‘peace.’ His rhetoric and rehearsed face of ‘sincerity’ suited even his political rivals very well, for the juxtaposition of peace-loving Peres versus, for example, warmongering Ariel Sharon presented Israel as a country with healthy, democratic institutions. The true mockery though is that the differences between Peres and his rivals, who also included former Israeli Prime Minister, Yitzhak Shamir, were barely even apparent, and only relevant within Israel’s own political and historical contexts. For example, Shamir, who led the government between 1983-84 and again between 1986-1992, was a member of the terrorist Zionist paramilitary group, Lehi, also known as the Stern Gang, at the time when Peres was a member of the Haganah. Throughout their militant and political careers, both collaborated on the subject of ethnic cleaning, waged wars, expanded illegal Jewish colonies, and entrenched the military occupation of Palestinian land after 1967. However, ‘stately’ Peres chose his words carefully and was indeed a cunning diplomat, while Shamir was a blunt and disagreeable character. As far as practical differences are concerned, however, the end results of their policies were practically identical. These two individuals who stood at the helm of the Israeli leadership constituted the worst possible combination from the point of view of Palestinians in the occupied territories. While Shamir and Peres served the role of the hard-liner and peace-seeker respectively before the international community, both men and their governments presided over a legacy saturated with violence, illegal annexation of Palestinian land and settlement expansion. The number of Jewish settlers who moved to the occupied territories between 1984 and1988, rose considerably, contributing to a policy of a slow annexation of Palestinian land and predictably, the ethnic cleansing of more people. In October 1994, Peres, along with Yasser Arafat and Yitzhak Rabin, were awarded the Nobel Peace Prize. While Rabin was assassinated by a Jewish extremist and Arafat died from suspected poisoning, Peres lived to be 93, advocating Israel’s interest at the expense of Palestinians to the very end, justifying Israeli wars, siege and military occupation. The Israelis and many in mainstream Western media may very well praise Peres as a hero, but for Palestinians, Lebanese and a multitude of others he is another war criminal who escaped any accountability for his countless misdeeds. 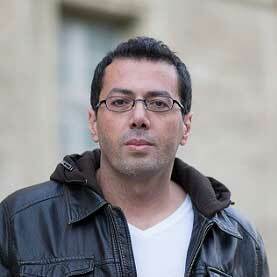 Ramzy Baroud is a journalist, author and editor of Palestine Chronicle. His latest book is The Last Earth: A Palestinian Story (Pluto Press, 2018). His latest book is The Last Earth: A Palestinian Story (Pluto Press, 2018). He earned a Ph.D. in Palestine Studies from the University of Exeter, and is a former Non-Resident Scholar at Orfalea Center for Global and International Studies, UCSB. His website is www.ramzybaroud.net. 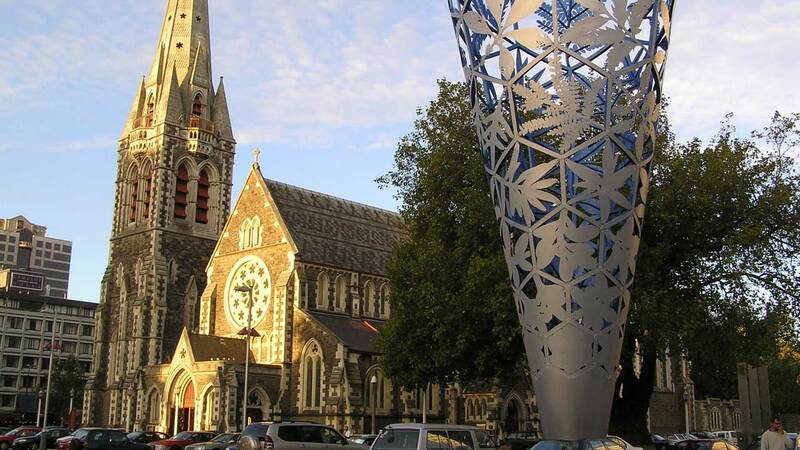 On My Visit to New Zealand: Can Christchurch Heal Our Collective Wounds?